It’s that time of year again. 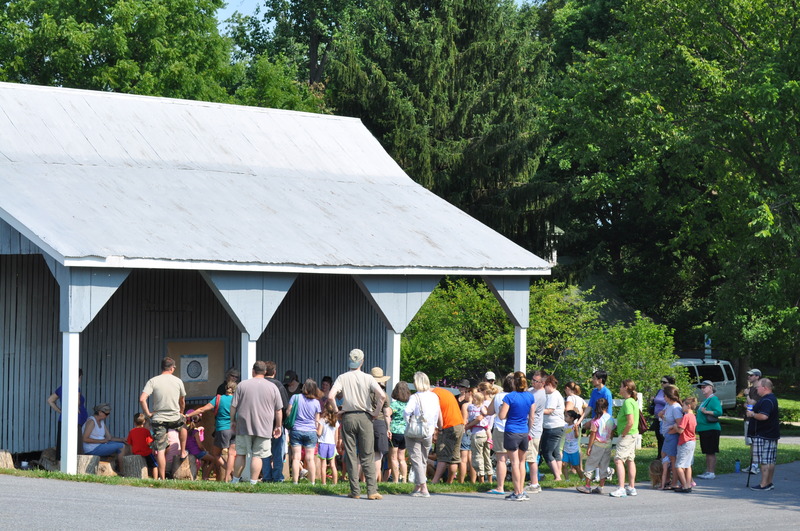 The annual program at the Howard County Conservancy to build fairy houses in the woods. It’s an adventure in imagination, and creativity, and in celebrating the outdoors. It is immensely popular. This is last year’s crowd. There are many volunteers to help and there is a large amount of material available to use. Part of the fun, though, for many of the families is the pre-event collection of materials from your own area. Bringing leaves and flowers and acorns along to use in the construction. The event is 10 am this Saturday at Mt. Pleasant in Woodstock. Details here. Last year they built the houses down by Hodge Podge Lodge. This year, who knows where they will go. 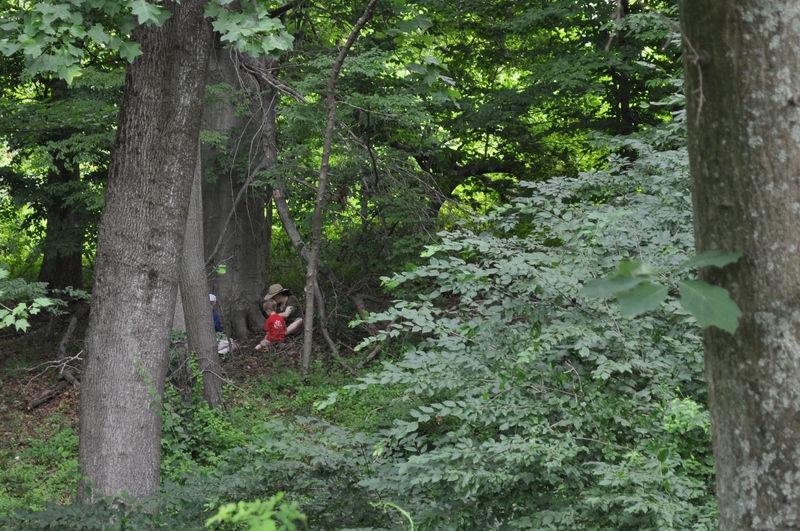 After getting a bit of instruction, the families go down into the woods to build their houses. 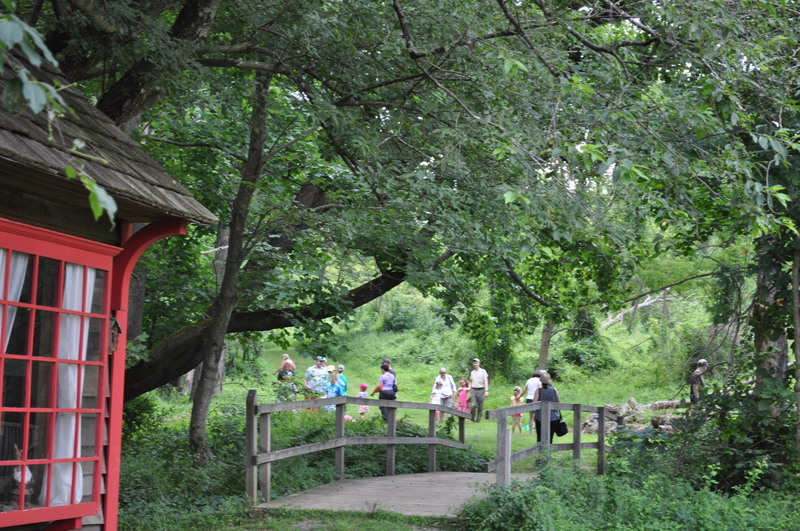 You can go off into the woods to make that very special, very private house. I will be wandering around taking pictures. We always make a scrapbook of the pictures to keep. Come do something truly special and fun. Saturday morning. FREE. They do ask you to email and let them know how many are coming. The more advance notice we have of the potential attendance, the better we can gather volunteers to assist. 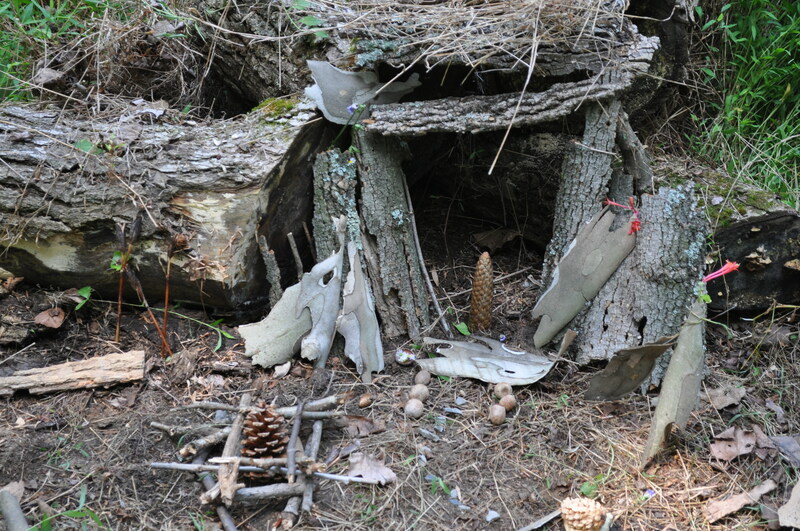 Posted in Adventures, Community, Nature, Volunteering and tagged community, fairy houses, howard county conservancy, nature, photography, volunteering. Bookmark the permalink.